The World Health Organization says the widespread use of sugar in food products and drinks is a major concern in many areas. So WHO officials are calling on governments to require taxes on sugary drinks in an effort to limit their usage and popularity. The officials believe the taxes also would reduce the risk of health problems resulting from obesity. Obesity is a condition in which the body stores large, unhealthy amounts of fat. Obese individuals are considered overweight. A new report says that in 2014 more than one-third of the adults in the world were overweight, and 500 million were considered obese. The United Nations agency estimates that in 2015, 42 million children under age 5 were either overweight or obese. It says that number represents an increase of about 11 million during the past 15 years. Almost half of these boys and girls live in Asia and one-fourth in Africa. The U.N. agency blames unhealthy diets for a rise in diabetes cases. There are 422 million cases of the disease worldwide. WHO says 1.5 million people die from it every year. It says the use of sugar in food products, like sugary drinks, is a major reason for the increase in rates of obesity and diabetes. Temo Waqanivalu is with the agency's Department for the Prevention on Non-Communicable Diseases. He told VOA that taxing sugary drinks would reduce consumption and save lives. "If we increase the tax and that gets passed on to the consumers resulting in a 20 percent increase in price, you are more likely to get a 20 percent reduction in the consumption. In addition, you will be more likely to achieve the ultimate health outcome we are aiming for, which is the reduction in obesity and diabetes." Waganivalu noted that Mexico enacted a 10 percent tax on sugary drinks in 2014. He said by the end of the year, there was a 6 percent drop in the consumption of such drinks. Among poor people, the number of people who consumed sugary drinks dropped by 17 percent. The WHO report says China has more obese people than any other country -- 43 million men and 46 million women. The United States is home to almost 42 million obese men and 46 million women who are obese. The WHO says people should limit the amount of sugar they consume. It says they should keep their sugar intake to below 10 percent of their total energy needs, and reduce it to less than 5 percent for improved health. It warns people to be careful in their calculations because sugar is everywhere. Children being given sugary drinks and unhealthy snack foods with too much salt and fat contributes significantly to obesity. We aim for simplicity and excellence in the quality of our services. You need money and time; in addition, you need diligence. 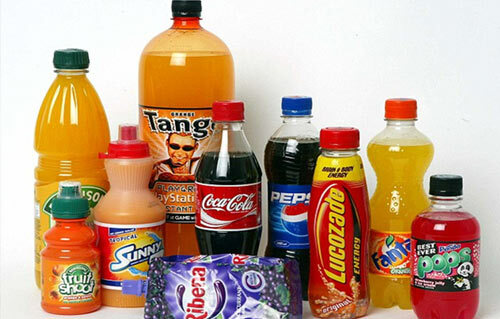 1.So WHO officials are calling on governments to require taxes on sugary drinks in an effort to limit their usage and popularity. Penny tended to work through her lunch hour in an effort to keep up with her work. 2.The WHO report says China has more obese people than any other country -- 43 million men and 46 million women. We have no quarrel with the people of Spain or of any other country. The authorities insist that the discussions must not be linked to any other issue.